What is breakfast bar on kitchen Island for? my wife is 5'1" and she hates it .. stools too high for her to get up on..
Scrapped Block to roof on in 4 weeks. Brickwork started 16 Dec. Very happy with the brick choice. Think you hit the nail on the head with the economics of it.. "ITS CHEAPER"
We actually only added about 4 DGPOs. 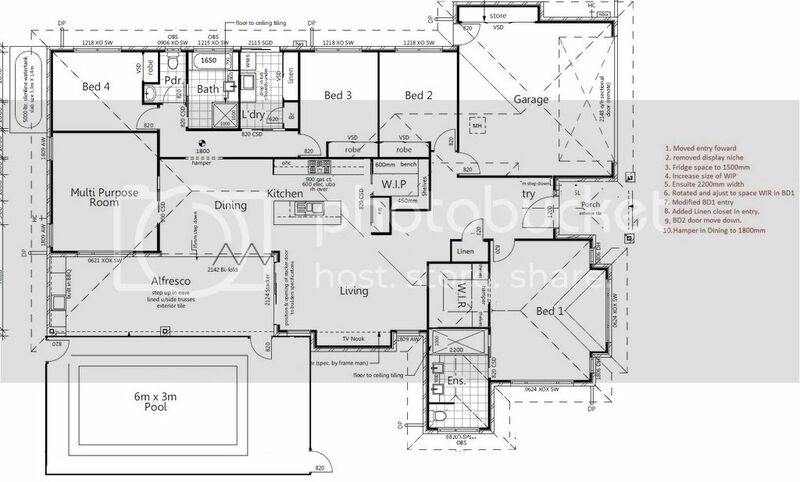 The electrical plan had heaps. BTW they are all going to be upgraded to clipsal saturn. Brick choice is Austral brick Freedom with white mortar. Corian Sage benchtops, Laminex white silk, Chamois Nuance cupboards and Laminex MetaLine sophisticat splashback. Made a few changes. Hopefully for the better. Thanks much, all comments greatly appreciated. Will definitely take bedroom 2 in consideration. Cold wont be much of an issue as building on Fraser Coast. 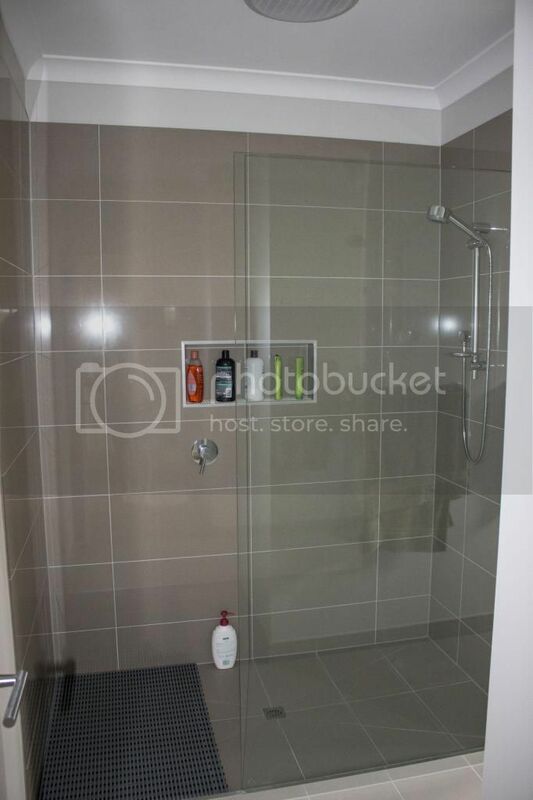 Building a new home in Queensland and need you guys to run you eyes over the plans and point out stuff that could be improved or bad designs. I've expanded your question a bit as you maybe interested (the answer to your question is at the end), so here goes. What is the ‘building period’? Paint eaves and gutters yourself! Very little to no over spray, Love it. 1800mm x 900mm. Glass 1000mm wide. Just over soil and at ground level .. Basicly over the area where the concrete pavers are. Only special thing maybe a trap door over the a storm water drain. Looking for a good quality job at a relistic price for the western suburbs of melbourne to build a merbau deck of around 50 sqmtrs for an afresco.